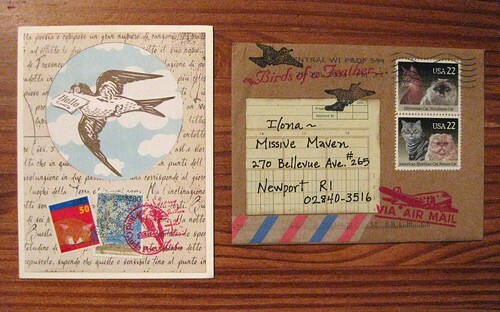 A pen pal and blog reader sent me this lovely handmade "birds of a feather" card way back in July. 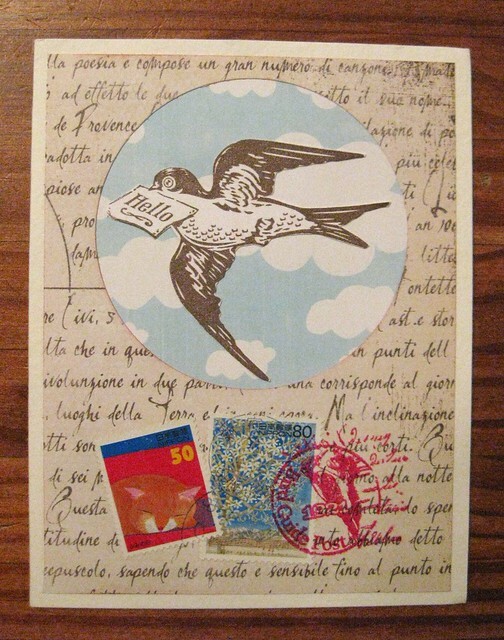 I'm very taken with the design, with the "airmail" note-carrying bird stamped in bronze, overlaid on some lovely handwriting in what looks to be Italian, plus some lovely postage stamps and a postmark. 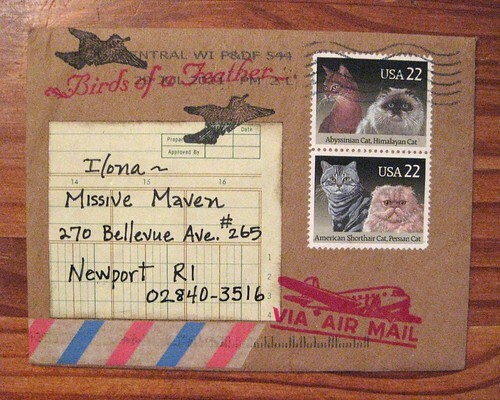 ...and of course I love the vintage cat stamps on the envelope! Neat use of old ledger paper for the label, too, which is burnished on the edges. 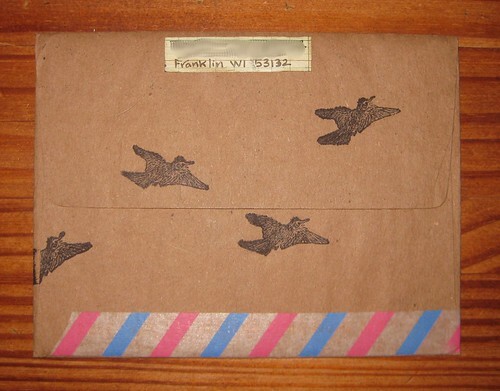 The flying-birds rubber stamp theme continues to the back of the envelope, where the stamp-birds of a feather are flocking together. 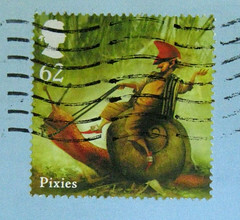 It was a real mail art treat, with a lovely letter inside, too. How wonderful mail! 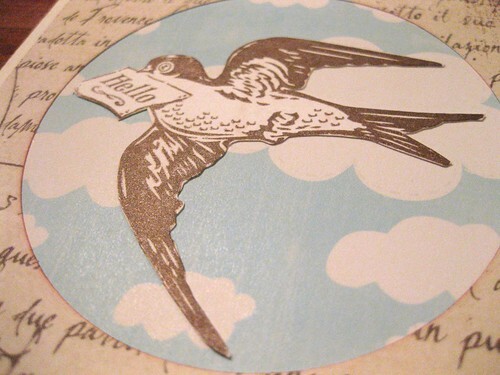 I love the way how stamps and stamping are placed under the beautiful sparkling bird! Awwwww! Cats stamps!! *w* adorable!! Wow, these are so pretty and creative! Postcrossing: I achieved my top 200 goal!